Sally’s career spanned over 30 years in the private, public and not-for-profit sectors. For eight years she was Chief Executive of The Whitehall & Industry Group (WIG), a high-profile not-for-profit membership organisation with a pivotal role interfacing between business and government. Prior to entering the not-for-profit sector her career was in international strategy consulting, chiefly with KPMG where she focused on the telecoms and space sectors. 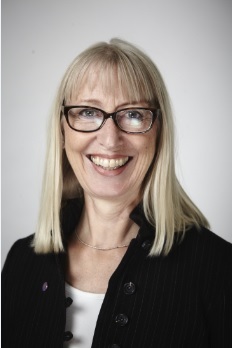 Sally has served as a Trustee of The Scout Association, an independent member of the Steering Board of the UK Space Agency and as Chair of the Surrey Space Incubator at Surrey University. Sally has a degree in languages and an MBA from Cass Business School. She is a keen sportswoman (particularly in the fields of yacht racing and dinghy sailing), sings with the Parliament Choir and is a supporter of charities focusing on music and young people’s development.